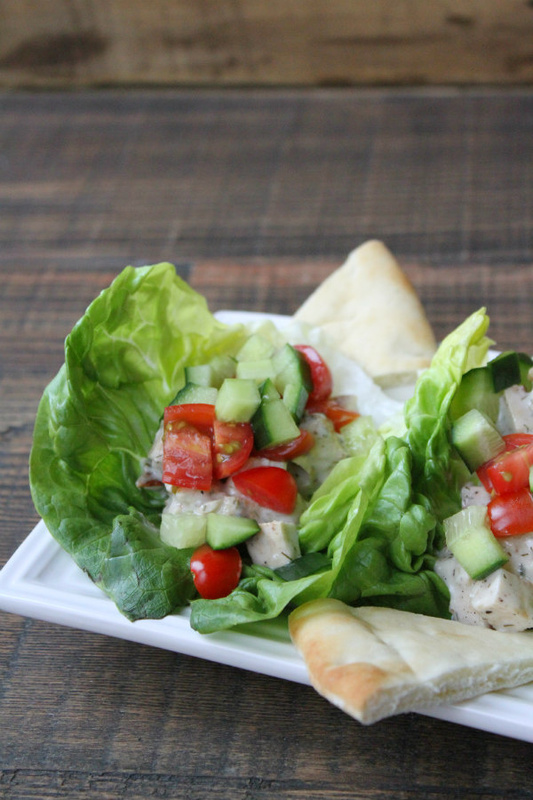 These Greek Chicken Lettuce Wraps are a healthy recipe to make for a quick lunch or an easy dinner, and they’re Weight Watchers friendly! A short how-to video and the printable recipe are included at the end of this post. Here in Arizona, the temperatures have been hovering around 90 degrees the past few days. This means two things: I don’t want to turn on my oven (the house is hot enough!) And I need some light and healthy recipes (swimsuit season!) 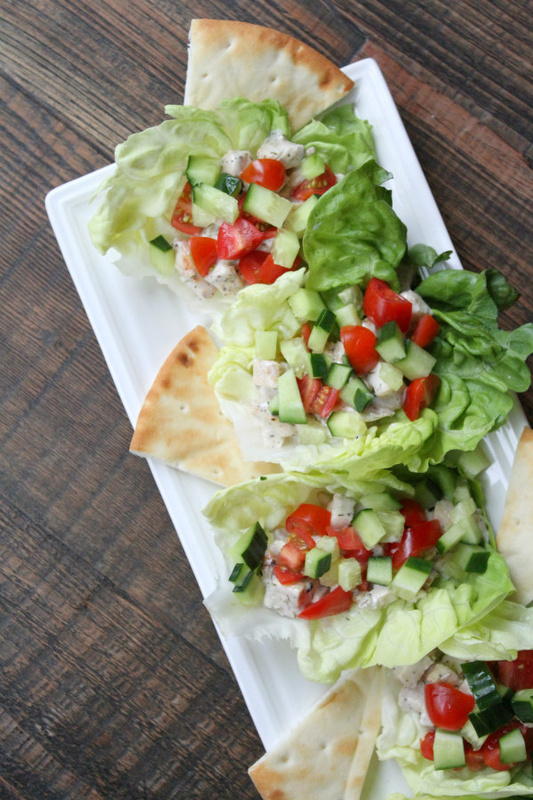 These Greek Chicken Lettuce Wraps are the perfect, oven-free recipe that also work for swimsuit season. 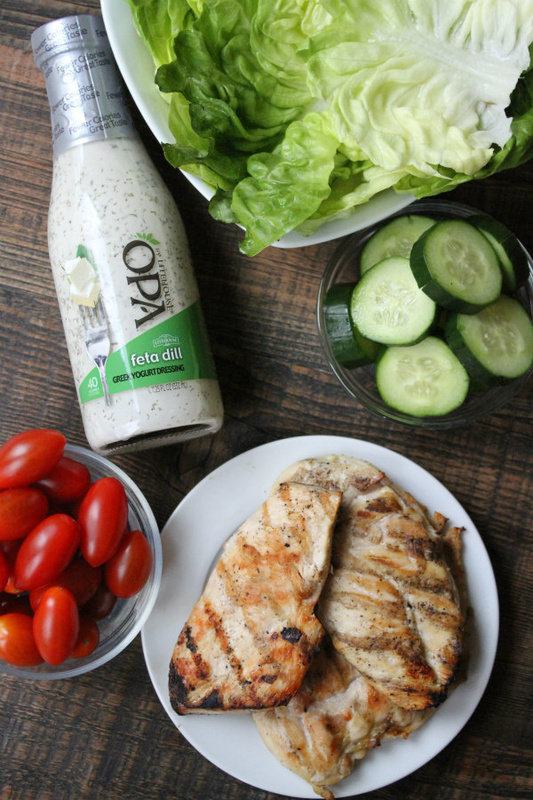 I’m currently partnering with OPA by Litehouse® Greek Yogurt Salad Dressing to show you how easy it is to use their salad dressings to create quick and easy recipes. These salad dressings have more protein, fewer calories and less sugar than regular dressings. Besides the flavor I’ll be mentioning today, you’ll find flavors like Avocado Cilantro, Ranch and Strawberry Poppyseed in your market’s refrigerated produce section. 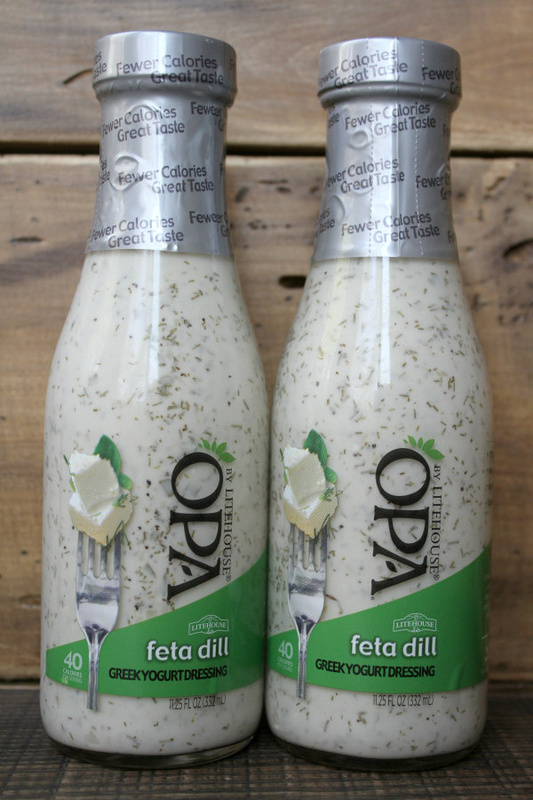 In this recipe, I’m utilizing OPA by Litehouse Feta Dill Greek Yogurt Salad Dressing. This flavor pays homage to Greek tzatziki. Savory dill and feta are combined with the tanginess of the Greek yogurt to create a great tasting dressing at 40 calories per serving. I love that all of the OPA by Litehouse dressings are gluten-free, contain no high fructose corn syrup or MSG and are made without any artificial preservatives. 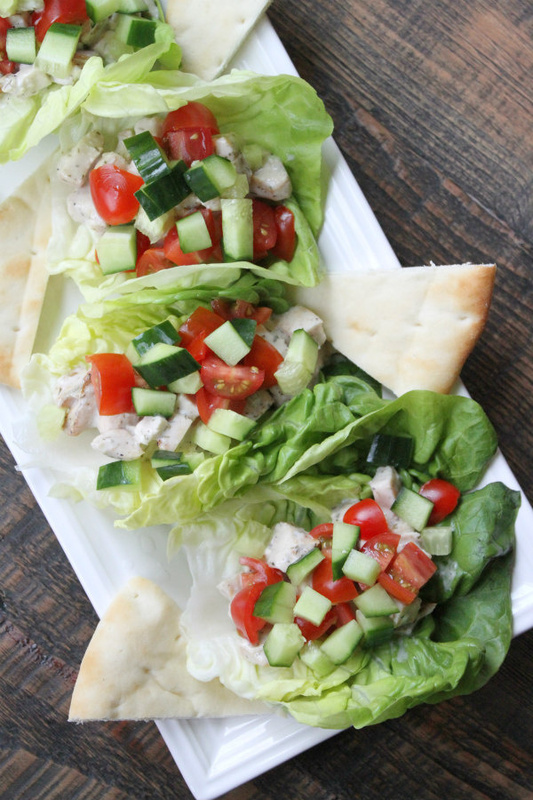 These Greek Chicken Lettuce Wraps are made with only five ingredients! And more great news: you get to eat 4 lettuce wraps per serving! Butter lettuce is my favorite lettuce to use for lettuce wraps. 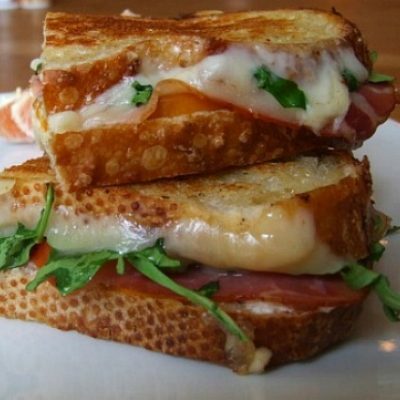 It’s always fresh, soft and easy to fold and wrap around your filling. The filling consists of chopped, grilled chicken combined withOPA by Litehouse Feta Dill Greek Yogurt Salad Dressing. It’s such a simple combination, and the dressing is perfectly seasoned, so that’s all it needs. You’ll top each lettuce wrap with chopped tomato and cucumber. That’s it! 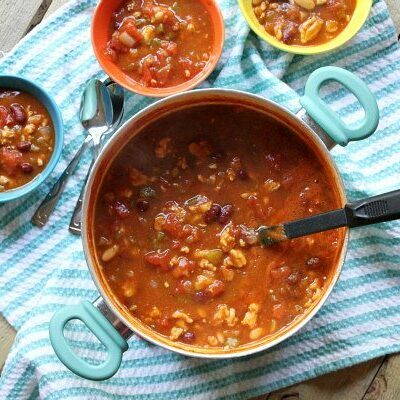 Here’s your super easy lunch or light dinner made with just a handful of ingredients. There’s a lot of flavor in these Greek Chicken Lettuce Wraps, and there is very little effort needed to make them. Enjoy! 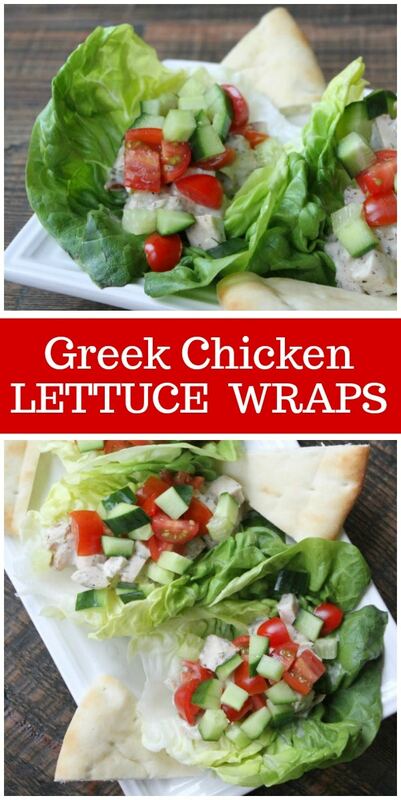 Click below to watch a short video showing you how to make Greek Chicken Lettuce Wraps, then print out the recipe below and make them at home. If you’re looking for more lettuce wrap recipes, you might also enjoy my Sweet and Spicy Chicken Lettuce Wraps or these Pulled Pork Lettuce Wraps. 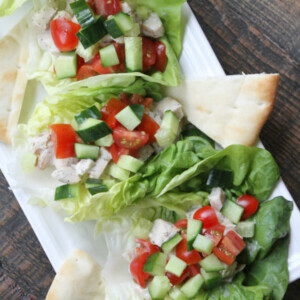 These Avocado Tuna Salad Lettuce Wraps look pretty tasty too! 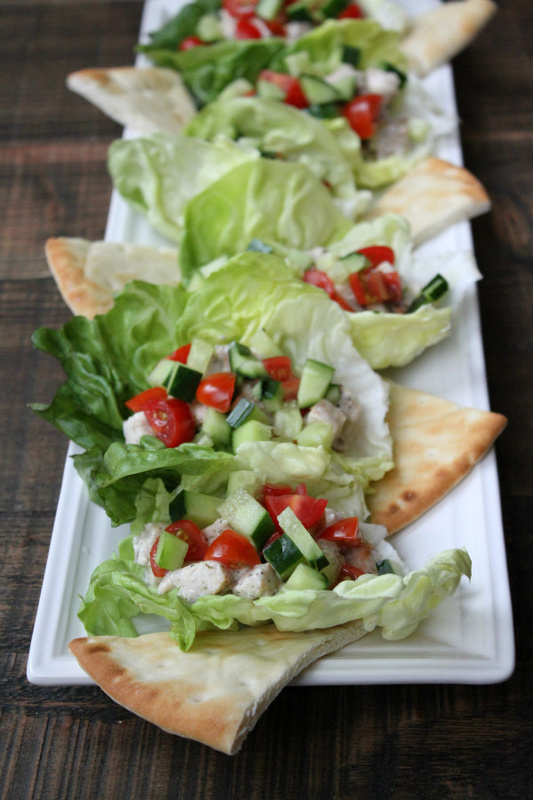 These quick and easy Greek Chicken Lettuce Wraps are the perfect super-light lunch or dinner. 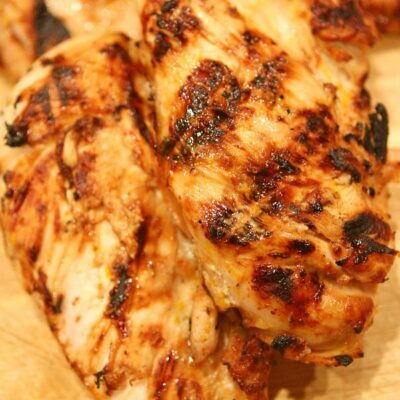 In a medium bowl, combine the chicken and dressing. Spoon into lettuce leaves and top with tomatoes and cucumber. *3 Weight Watchers Freestyle SmartPoints per serving of 4 lettuce wraps. *Options: sprinkle on some chopped Kalamata olives or Simply Artisan Reserve Feta Cheese Crumbles. Disclosure: This recipe was made in partnership with Litehouse. This is a product that I know and use in my kitchen. All opinions shared are my own. It’s basically still winter here in the northeast. I can’t wait for warm days and summer salads. 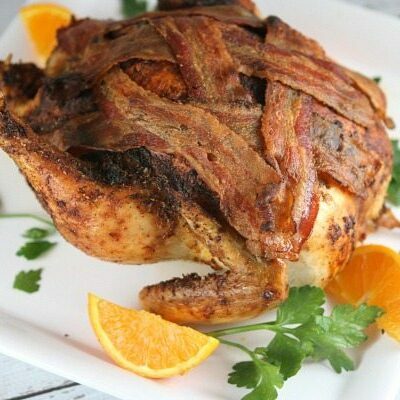 But this is a healthy meal to enjoy any time of year!